888.com Poker has been a household name since the 1997 conception of their online gambling site which features an online casino, sports book, as well as an online poker room. 888.com Poker despite of their withdrawal from the USA gambling market still holds one of the top overall spots in the industry that has a well respected following by players throughout the world. Owned by 888.com Holdings, 888.com Poker has hosted online poker play for over 25 million users for over a decade. 888.com became a publicly traded entity on the London Stock Exchange in 2005, and hasn’t really looked back since. If you are looking for a well-rounded online poker room that offers more than just poker play, 888.com Poker may be the site for you. 888.com’s software was a bit less desirable in the beginning, but as the online gaming world evolved, so did 888.com Poker. Listening to what the players have asked for over the years, the latest software version comes complete with superb 3-D graphics, easier navigational tournament and cash game table lobbies, user-friendly beginner rooms, multi-tabling options for veteran players, a brand new community online store where players can spend their comp points, and much more. 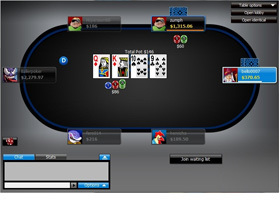 Most poker rooms claim to have great 3-D graphics, but 888.com Poker has taken it a step further. There are options for players to get actual 3-D glasses to make the playing experience the most realistic as possible. The 888.com poker software is available in 8 languages: English, Spanish, French, German, Russian, Dutch, Swedish, Danish, Portuguese, and Italian. 888.com Poker is also available in a download and instant play version that doesn’t require a download. Always looking to make improvements, 888.com Poker will continue to make their product better when the opportunity is available. 888.com Poker offers a very competitive Welcome Package for new players playing at their online poker room for the 1 st time. New players can begin with a sweet deposit match bonus of 100% up to $400 and will earn $10 for every 100 BP’s (Bonus Points) earned while playing. In addition to receiving BP’s while playing, players will also earn Reward Points that can be spent on free cash, tournaments, on many different items offered in the online poker store. As mentioned, this is only the start of the Welcome Package. New players will also receive entry into 888.com Poker’s “First Deposit $50,000 Challenge” freeroll, 7 chances at their daily 1 st depositor $500 freerolls, plus one free entry into their 1 st depositor $1,000 freeroll which are all completely free to all 1 st time depositing players. 888.com Poker offers lots of other promotions where players can win prizes such as laptops, I-pad’s, chipsets, as well as free tournament entries and more free cash. Compete against of the world’s top poker pro’s, compete for major live event tournament seats, or possibly play your way into a poker sponsorship provided by 888.com Poker. 888.com Poker’s daily, weekly, and monthly promotions will have you coming back for more each and every time you play. 888.com Poker offers a wide array of online poker sit-n-go and multi-table tournaments to peak your interest such as “The Daily Challenge Series” and “Double Or Nothing” tournaments. As mentioned earlier, 888.com Poker offers the opportunity to win a seat into every major live event known around the world with direct satellite buy-ins or step up tournaments. 888.com Poker offers many rewarding freerolls for loyal players, new depositor freerolls for new players, and many other special tournaments to keep you busy. Tournament buy-ins starts for as little as a few pennies per tournament upwards into a few hundred dollars for those high-rolling players. 888.com Poker offers a tournament price suitable for all levels of play from beginners to self-proclaimed professionals. 888.com Poker has been in business for over a decade accumulating a huge base of players from all around the world. Although the U.I.G.E.A. law forced 888.com Poker to pull away from the U.S. market, the player traffic has steadily increased over the years, still ranking 888.com Poker among the most elite online poker rooms in the industry. This has partly because of the multiple avenues with their online sports book and casino room, but also partly because of their sincere compassion for listening to what their players want. This is shown with the latest update to their software that includes the most realistic 3-D game play. During peak times, players can expect to find 2,000-3,000 cash game players as well as 6,000-8,000 tournament players to compete with. Competition is pretty loose with a lot of fish in the tank for veteran players to take advantage of. This may be due to the part of their multi-million dollar television ads or straggling traffic from their online casino and sports book which are usually beginners that take many more gambles a lot more often. Flop percentages seem to support these theories as many times, flop percentages have been found to be as high as 75%. Solid players should be able to rake in some extra loot fairly easy when playing at 888.com Poker. 888.com Poker doesn’t offer a huge selection of poker games, but do offer the most popular ones. Games offered at 888.com Poker include Texas Hold’em, Omaha, Omaha Hi/Lo, 7-Card Stud, and 7-Card Stud Hi/Lo. No draw games are offered such as 5-card draw, 2-7 Lowball, Badugi, or 5-Stud. All games offered can be played at any of the 3 major styles such as Limit, Pot-Limit, or No-Limit options. All games can be played at cash tables or tournaments, however, you will probably notice and expect that Texas Hold’em offers more tables than the other games because of its popularity. Whatever game you fancy, there shouldn’t be much of a problem to find a game right for you at any limit or style. 888.com Poker may offer the largest selection to choose from when it comes to banking at their online gambling site. 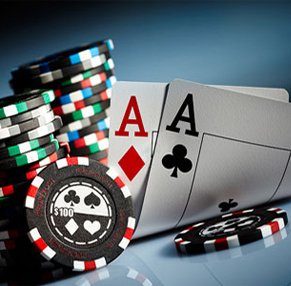 No matter what deposit or withdrawal method you are accustomed to, 888.com Poker surely has it. The following can be used for deposit: Visa, MasterCard, EuroCard, Diners Club, Solo, Laser, Chinese debit cards, Maestro, Bank Transfer, Boleto, Deposito Refrenciado, European cheques, Immediate Check (e-check), PayPoint Invoice, Commerzbank OnlineBanking Web, Deutsche Bank 24 Direct Debit, Dresdner Bank Interbanking, ELBA, eKonto, Direct Debit, eNETS, Hansabank, iDEAL, NETeller, NetPay, Partner Online Paying (POP), POLi, Przelewy24, SEB Pank, Sofortuberweisung, Swedbank (Banklink), Abaqoos, Moneta, WebMoney, Moneybookers, InstaDebit, ClickandBuy, ACTeCASH, Ukash, bank transfer, PaysafeCard, EntroPay, PayPoint, Dankort debit card (Denmark), Nordea online bank account (Sweden/Finland), Paypal (Austria, Denmark, Finland, Ireland, Italy, Portugal, Spain, Sweden and UK) and Wire Transfer. The following can be used for withdrawal: Visa, MasterCard, debit cards, NETeller, Moneybookers, PayPal, bank draft (cashier’s check) and Wire Transfer (direct bank account transfer). 888.com Poker’s online support ranks among the best in the industry offering 24/7 support via email, phone, live chat, and fax. If you ever have an issue, you can be sure their highly trained support staff will work diligently to solve the matter. 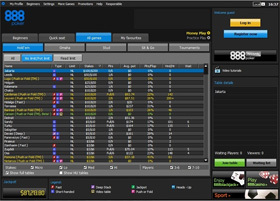 888.com Poker utilizes the MD5 Random Numbers Generator (RNG) to ensure fairness and equality throughout their software to make game play as fair as possible. Monthly reviews are performed by independent testers to also ensure the fairness of their games for peace of mind play. 888.com Poker has put forth a zero tolerance policy against any form of cheating of any kind and randomly monitors the tables to ensure no collusion or any other form of cheating is happening. If any players are found guilty of cheating among any form, those players will be permanently banned from 888.com Poker and sister sites. 888.com offers a complete, well-rounded package for all types of players and looks forward to having you as their newest member. 888.com Poker is one of our top suggested online poker rooms in the industry and we are sure you will agree with us once you have played at one of the best.